If you are thinking of growing watermelon this year and haven’t yet decided what variety to attempt, you might want to think about growing Sugar Baby watermelons. What are Sugar Baby watermelons and how do you grow them? What are Sugar Baby Watermelons? An interesting nugget amongst Sugar Baby watermelon information is its very high “brix” measurement. What does “brix” measurement mean? Commercial watermelon growers value melons high in sugar and the name for this sweetness is called “brix” and can be scientifically measured. As its name implies, Sugar Baby watermelons have a brix measurement of 10.2 and rank as one of the sweetest watermelon cultivars. Citrullus lanatus, or Sugar Baby watermelon, is an incredibly productive grower as well. 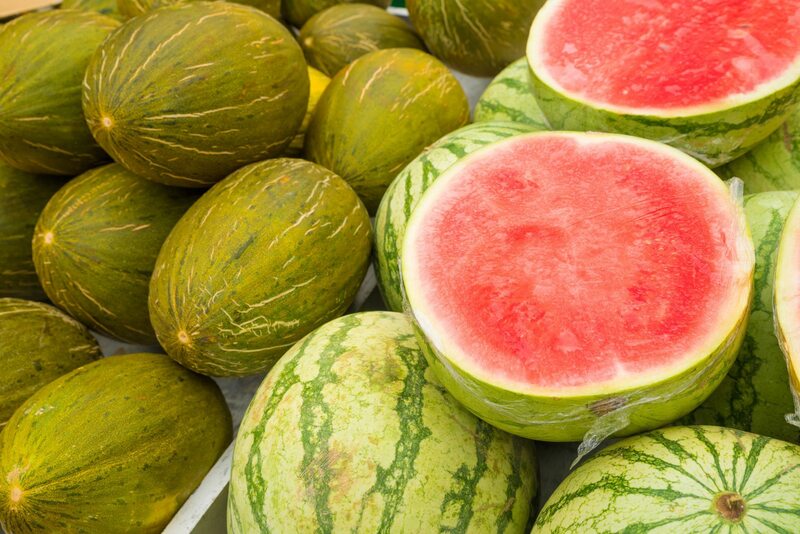 Sugar Baby melons are round “picnic” or “icebox” watermelons perfect for small families and as the name suggests, small enough to fit into the icebox. They weigh in at between 8 to 10 pounds and are 7-8 inches across. They have either a dark green with slight dark veins or medium green with dark veined rind. 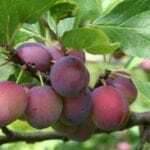 The flesh is as mentioned, sweet, red, firm, and crisp with mottled with very few small, tan-black seeds. Sugar Baby melons, like all watermelons, require warm, dry temperatures to thrive. This early watermelon cultivar was first introduced in 1956 and is an early maturing variety, maturing in 75-80 days. They do best in Mediterranean climates where the vines spread out 12 feet or longer, with each plant producing two or three melons. Most people start this melon via seed indoors at least six to eight weeks before outdoor planting time. These melons need rich, well-draining soil, amended with compost and manure. 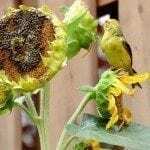 Plant them in an area with at least eight hours of sun exposure per day and account for at least 60 square feet of space per plant. Sugar Baby watermelon care requires consistent irrigation. Drip irrigation is recommended, as Sugar Baby varieties, like all watermelons, are susceptible to a variety of fungal diseases. Crop rotation and fungicide applications can also reduce the risk of potentially deadly disease. These melons may also become infested with striped cucumber beetle which can be controlled through hand picking, rotenone applications, or floating row covers installed at planting. 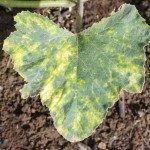 Aphids and nematodes, as well as diseases such as anthracnose, gummy stem blight and powdery mildew may all afflict the Sugar Baby watermelon crop. Lastly, these melons, like all melons, are pollinated by bees. The plants have both yellow male and female flowers. Bees transfer pollen from male blooms to female blooms, resulting in pollination and fruit set. On occasion, the plants do not get pollinated, usually due to wet weather conditions or insufficient bee populations. In this case, a little specialized Sugar Baby watermelon care is in order. You may need to give nature a hand, by hand pollinating the melons to increase productivity. Simply dab the male flowers gently with a small paintbrush or cotton swab and transfer the pollen to the female blooms.